We cannot do our work alone. Our partners help us reach our goals, both nationally and locally. Utah Interfaith Power & Light is one of 38 state affiliates of the national Interfaith Power & Light movement. 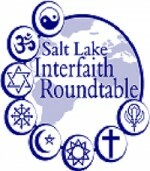 Utah Interfaith Power & Light began as a project of the Salt Lake Interfaith Round Table. As an independent organization, we remain active members of the group. We partner with Utah Clean Energy on many policy issues in Utah in efforts to build a new clean energy economy. Utah Clean Energy advances renewable energy, energy efficiency, and clean energy technologies in Utah and the West. Utah Interfaith Power and Light has partnered with DwellTek Home Energy Solutions to assist Utah IPL members in educating congregations about the importance of residential energy efficiency.